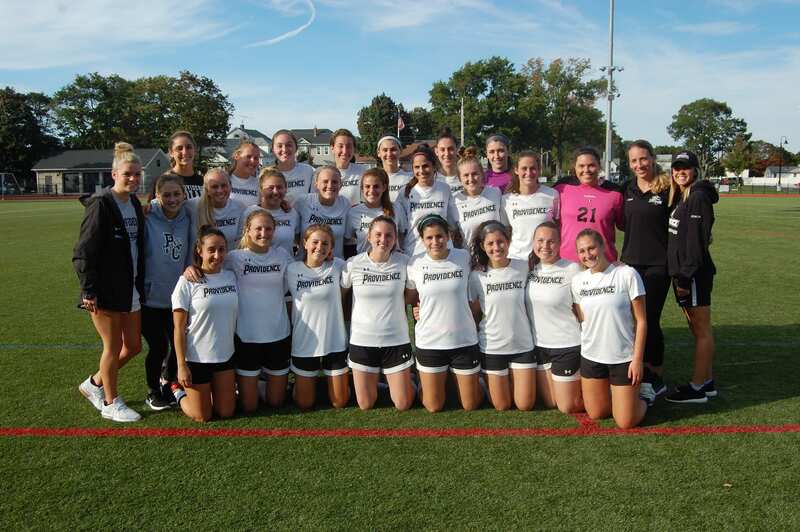 The Providence College Women’s Club Soccer Team is excited to enter its third season as a Club Sport. We have already wrapped up our Fall 2018 season! The team practices 2-3 day per week and participates in games on designated weekends. Some of the schools in our league we compete against include Boston University, Northeastern University, University of Connecticut, Brown University, and the University of Rhode Island. If you have any questions please contact the team officer using the contact information provided. Tryouts will be held again in the beginning of the 2019 academic school year. Information for this will be posted on the Instagram account. The schedule for the Spring 2019 season will be up shortly as well. Please come and show support, we would love to have you! Go Friars! Click here to donate to Women’s Club Soccer. Select the “Other” category and specify Women’s Club Soccer as your gift designation.